needfaith.org, a ministry of Global Gospel Initiatives, is dedicated to sharing the good news of Jesus Christ. We are distinctively Baptist with a Gospel centered theology and application. GGI is a fledgling missions organization focusing on taking the Gospel to difficult or underserved people groups. I’m a Baptist missionary to the country of Slovenia. We are currently raising our funds now, and Lord willing, we will be moving to Ljubljana in 2014. 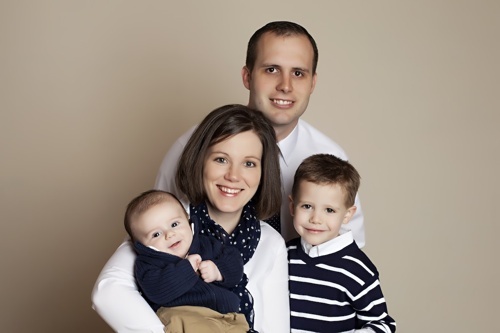 I have a wonderful wife, Katie, and two sons—Elijah and Andrew. I don't do comments. Like most blogs, this one will be read by a few friends and a few random Googlers. Even if we had thousands of page hits and actually did have meaningful discussions in comments, I simply don't have the time to keep them up as they should be. That doesn't mean that I don't want to hear from you. Twitter and email (john@ggimissions.com) are always options.